Dual set of inputs for CD player and AUX such as a DVD player. Each input has an independent gain control to perfectly balance your system. Dual stereo outputs with fader control and selectable FULL-RANGE or 100HZ/18dBhighpass. Output is not affected by fader position. Allows balancing of sub output. Subsonic filter protects your subwoofers from damaging frequencies. Useful for bandpass enclosures. 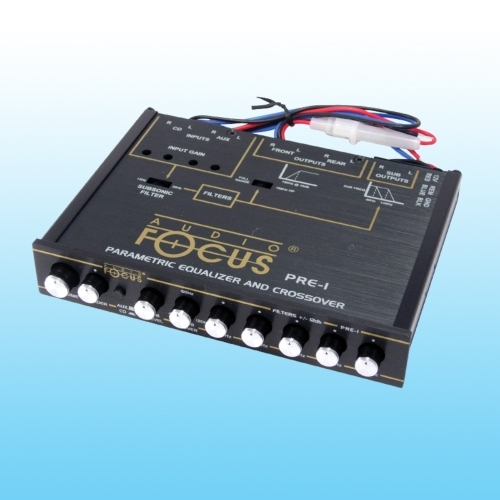 Can control sub output level and frequency , system volume and balance ,5 band parametric equalizers and sub output level and frequency. 1. Dual set of inputs for CD player and AUX such as a DVD player. 2. Each input has an independent gain control to perfectly balance your system. 3. Dual stereo outputs with fader control and selectable FULL-RANGE or 100HZ/18dBhighpass. 4. Independently controlled sub outputs. 5. Allows balancing of sub output. 6. Subsonic filter protects your subwoofers from damaging frequencies. Useful for bandpass enclosures. 7. 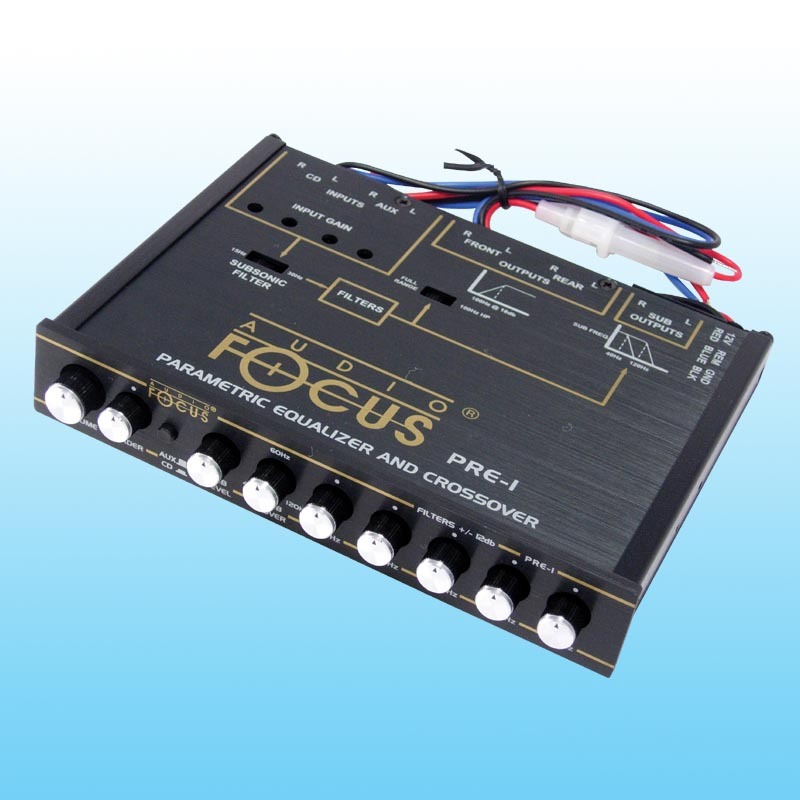 Can control sub output level and frequency , system volume and balance ,5 band parametric equalizers and sub output level and frequency.